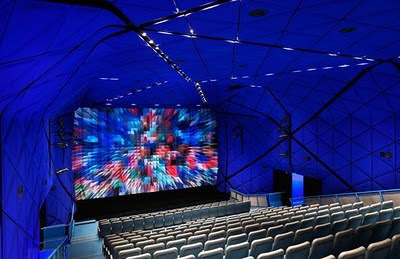 Ringing in the year with a fresh, new look - The Museum of Moving Image has opened its doors this week to unveil a remarkable renovation that boasts high-tech viewing facilities and additional space totally 97,000 square feet. Thomas Leeser, head architect, succeeded in creating an experience for the general public during each screening. The main theater accommodates 267 individuals, and features beautiful lighting, fabric panels that line each wall, built-in bench seating and surround sound.